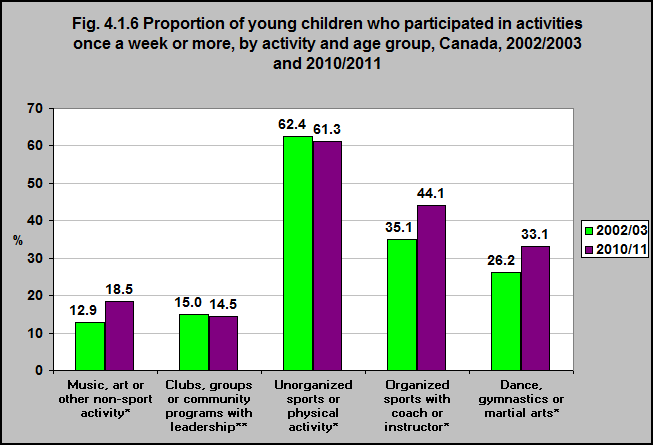 Between 2002/03 and 2010/11, proportionately more young children participated in organized sports with a coach or instructor, and in dance, gymnastics or martial arts. That was also the case for participation in music, art or other non-sport activity. Participation in clubs, groups or community programs and unorganized sports or physical activity remained relatively stable.